Barcode technology was first invented back in 1952, and has been used commercially since the 1960's. 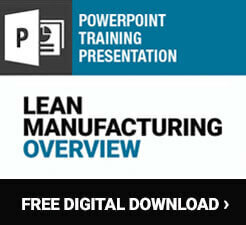 Despite it being an old technology, it is still very effective and used in millions of industries around the world. Barcodes work on a system that is based on the Morse code with a series of bars that are different widths and with different spacing. A machine is able to scan the code and turn it into useful information. This system has remained very popular largely because it is very easy to use, and machines or computers can scan the codes and gather information almost instantly. There have been several versions of barcode labeling over the years, with the most common being the Universal Product Code (UPC) which got its start in 1974. Today, the QR code, which is a 2D style of bar code that uses black squares positioned within a larger square on a white background, is becoming very popular. 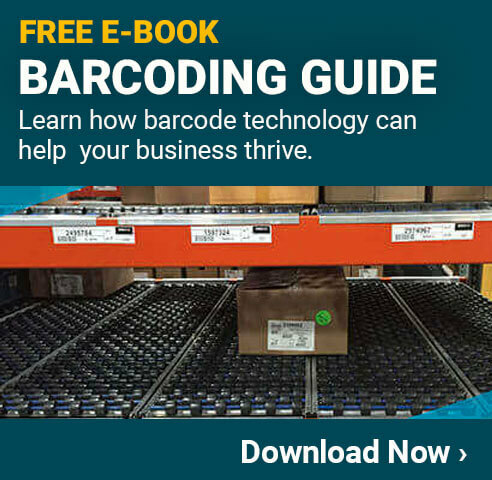 This type of barcode first began being used in the 1990's, but has exploded in popularity over the last decade because there can be far more codes than would be possible with older options. Machine Tagging - Placing a barcode on a machine allows it to be registered in a computer system. This makes it fast and easy to track things like when maintenance was performed, reports of safety issues, and more. Package Sorting - Sorting packages can be done via machine when there is a readable barcode. Large scale shipping companies like UPS use barcodes to sort packages very rapidly. Even smaller companies can benefit from the barcodes to quickly determine where a package needs to be. Time Tracking - Companies often give employees an ID badge that includes a barcode. This barcode can be scanned to check employees in and out for purposes of time tracking. Access Control - Security doors can be programmed to only be unlocked after scanning an ID badge with a barcode that has been approved. Hazardous Materials Data Collection - When hazardous materials arrive at a facility, they can be checked in via a barcode scan. This scan can pull up all the information about the hazardous materials as well to improve overall facility safety. Paper - This is the most basic type of barcode labeling stock. It is made with a durable paper that will last for a long time in normal conditions. This is typically the least expensive option, but is not meant for harsher environments. Oil & Dirt Resistant - Anywhere that oil, dirt, or other common contaminants may be present should use this stronger stock. It can be easily wiped down to clean, and the adhesive holds strong even when exposed to petroleum products and dirt. High Temperature - In high-temperature environments the adhesive can loosen or the label itself can burn. Having label stock made specifically for high-temperatures helps to avoid these problems. Water Resistant - A water resistant label will hold strong and look great even after getting wet. This is ideal for marine facilities, very humid areas, or places where water is regularly used. Battery Acid Resistant - When placing a label on a battery or other highly acidic area it is important that it is made out of an acid resistant material. Wire & Cable - Applying labels to wires and cables requires that the label can be wrapped without distorting the barcode itself. Having them the proper size will also help prevent overlapping, which can make it difficult to scan. Barcodes are used primarily because they offer a very quick way to take information from a label and bring it into a machine or computer system. This can dramatically improve the efficiency of many tasks in almost any environment. One of the biggest benefits that companies realize by using barcodes is improved inventory control. By applying a barcode label to every piece of inventory they have, the item can be added into their system with just a scan, and then removed when it is used with another scan. This will dramatically reduce the amount of inventory that must be kept on hand at all times. Loss prevention is also a advantage area. Since all inventory items will be closely tracked using the bar code system, items that are stolen will be noted much more quickly. Whether the theft is from customers, or internally by employees, things will go missing much less often than before. The over-arching advantage of bar codes is that it allows for easy and precise tracking of any type of information required by a business. Having the ability to scan items and bring up information about them will improve efficiency, eliminate waste, gather data for process improvements, and much more. Any company that wants to use bar codes in their facility will need to have a way to get custom bar codes printed. It is possible to purchase bulk pre-printed bar codes from many places, but this can be slow and requires large purchases. Most companies today will have their own industrial label printers right on site. These printers will have software that allow them to print off many types of bar codes including traditional UPCs and the more modern QR codes. This makes it possible to get labels as they are needed, and enter them into the tracking system immediately upon creation for a more efficient overall process. Printing and applying barcode labels is an easy process. Using the industrial label printer, the custom barcode or QR code is printed onto the proper label stock. When ready, the surface where it will be applied should be wiped down and allowed to dry for proper adhesion. When ready, simply place the label in the desired area and press down. Cleaning and maintaining these types of labels is also quite simple. Most label stocks can be wiped down with any rag or sponge, and can even withstand water or normal cleaning supplies. It is important to keep these labels clean as if they get too dirty the barcode scanner won't be able to properly read the label.